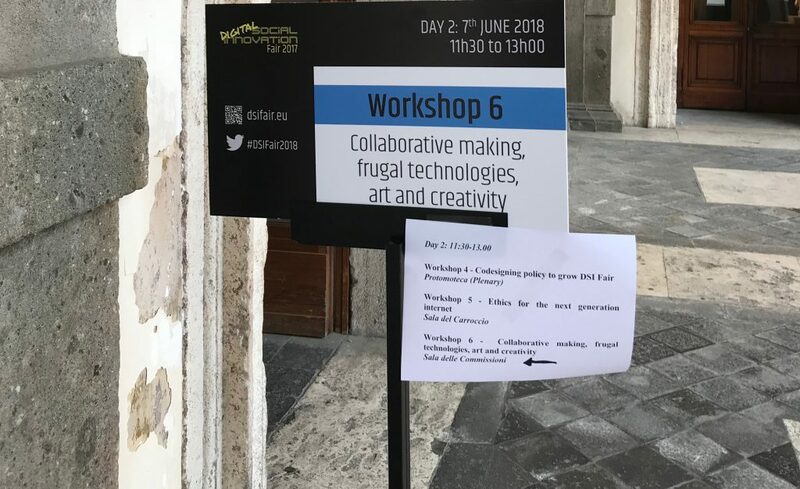 As part of this programme of events MAZI partners co-organised a workshop on: Collaborative making, frugal technologies, art and creativity. 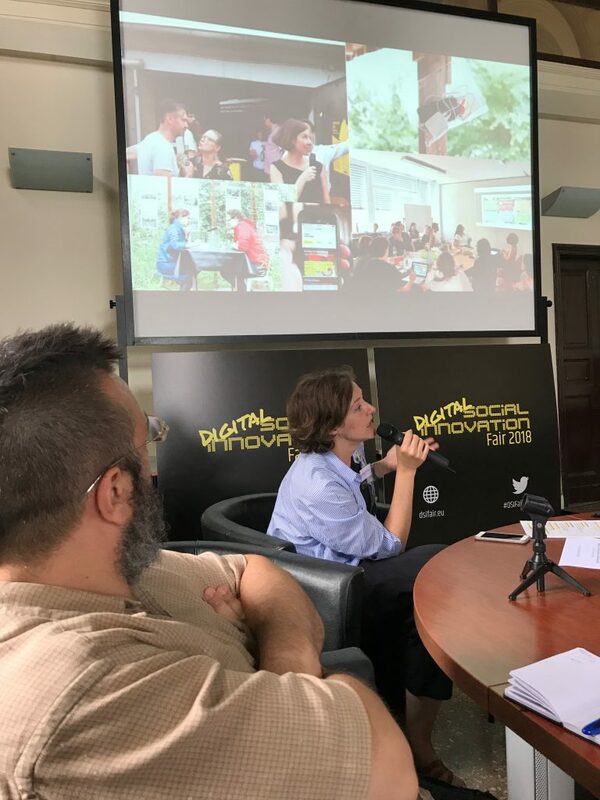 This workshop began with a short introduction of three CAPS projects: MAZI, OpenMaker, Made4You and also from the representatives of Human Ecosystem Relazioni (HER). The workshop participants then organised into four groups, each addressing a theme based around the speakers’ topics; Community networks; Art and Creativity; Making and Manufacturing; Healthcare. What are the most important values of this kind of approach? Who is this approach aimed at? Identify consumers, stakeholders, beneficiaries etc? What are the factors that enable developing consumers into becoming producers? What makes this approach unique and different to other approaches? What are the key resources needed for long term sustainability? Human, intellectual, physical, economic etc. What are the key challenges or blockages for success to be overcome? To conclude the session, feedback was given from each of the groups to the rest of the workshop. Digital technologies and the Internet are rapidly and radically changing the dynamics of both individual and collective human experience, underpinning innovation across private and public sectors, being core enablers for the transformation of the European society and services. This represents a unique opportunity to address some of the most pressing social and environmental challenges. Across Europe and all over the world several initiatives are actively working on this front from different angles and perspectives. But for these initiatives to have an impact and effectively engage all civil society players, there is a clear need to properly link and coordinate efforts, while ensuring promotion of technologies and solutions that can ensure better citizens’ protection, inclusion, education and participation. The ambition of the DSI Fair 2018 is to create a space for all these players to gather and align on priorities and key directions shaping the European research and innovation agenda. The DSI Fair 2018 will offer a rich program featuring an international conference, focused workshops, networking and hands-on sessions. The line-up of speakers includes experts and practitioners, as well as policy makers and civil society players. This event will specifically provide opportunities to discuss how initiatives tackling social and environmental challenges in Europe and beyond are at the core of realising a more secure, trusted, inclusive and participatory Next Generation Internet. It will also provide the opportunity to promote how a number of advanced technologies (blockchains, decentralised data protection, artificial intelligence, etc.) and EC-driven initiatives, like the 5MEuro blockhain Prize, can help realising a more secure and trusted Digital Single Market.